With Christmas only a few weeks away, you are probably done with most of your holiday shopping. For those of you who may still be thinking about what to get your dad, brother, boyfriend, husband, or any man in your life, I have put together a list of items that will make great Christmas gifts. I already picked up a few of these gifts for my fiancé and I know he will love them. What are some other good gift ideas for men in your opinion? Looking for gift ideas for the women in your life? 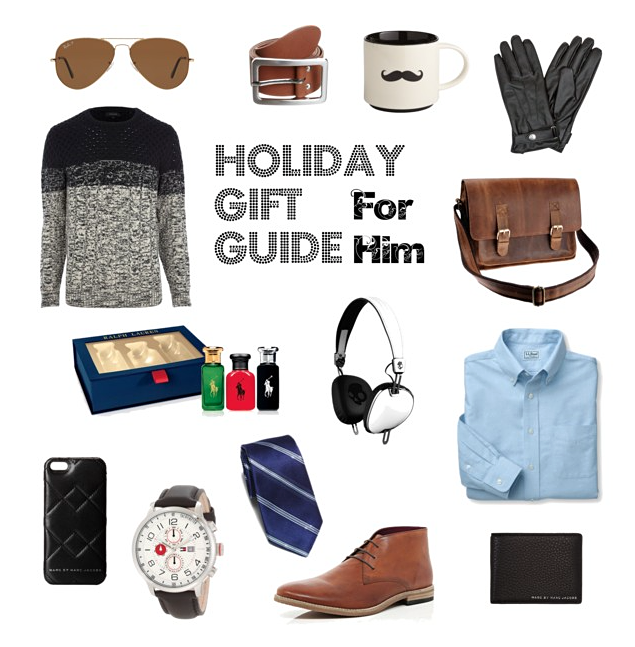 Check out my other gift guides: under $100, under $50, under $25. Great gifts! My boyfriend would love those headphones and that phone case! I bought him some Lululemon shorts, they have great guy stuff too! Thanks Megan, and yes, Lululemon has awesome stuff for guys! !